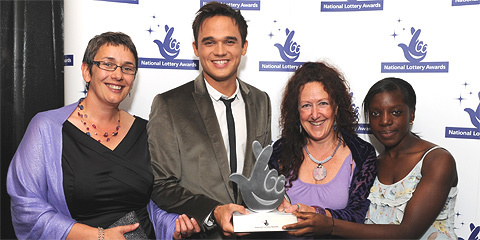 The winners of The National Lottery Awards 2009 were announced during a special, star-studded BBC1 programme, The National Lottery: Big 7, broadcast live on Saturday 5 September 2009. Celebrities on the night included Myleene Klass, Nick Knowles, Bruno Tonioli, Lisa Snowdon, John Sergeant, Fay Ripley and Tom Daley as well as performances from David Gray and The Noisettes. The Awards are a great way to recognise the difference that Lottery-funded projects – both big and small – make to local communities, and celebrate the achievements of the people behind them. Broadcast on prime time television, the Awards are an excellent opportunity for the general public to appreciate the usually unseen work of local charitable and voluntary groups.